Christopher Norwood, 32, pleads guilty to endangering the welfare of a child. AUGUSTA — An Augusta man pleaded guilty Tuesday to endangering the welfare of a child in connection with an incident in September in which his 2-year-old son ended up floating facedown in the Kennebec River. Christopher J. Norwood, 32, entered the plea with the condition that he does not agree with the state’s version of events but acknowledges that a jury or fact-finder could find him guilty of the charge. The disposition was deferred for 12 months. If Norwood meets conditions including taking a parenting class, he will be allowed to withdraw the plea and the case will be dismissed. If he does not, he can be sentenced to as much as 364 days in jail. Norwood’s attorney, Scott Hess, told Justice William Stokes that the event was “a mistake my client feels terrible about.” Hess said Norwood believes he did not “recklessly endanger” the health, safety or welfare of a child, as the statute is phrased. There was no discussion of the facts of the case and no mention of the boy’s condition in court at the Capital Judicial Center. The prosecutor, Deputy District Attorney Paul Cavanaugh, offered to provide more details but Stokes said it was not necessary because the offense is a misdemeanor. Norwood is to return to court June 5, 2018, for the end of the deferred disposition. She said the state offered a deferred disposition to Norwood as a way to avoid a conviction. “I don’t want the charge in the case to be a deciding factor in reunification efforts involving the family,” she said. Maloney said the child is in the custody of the state Department of Health and Human Services and placed with grandparents. Police and rescuers were sent to the East Side Boat Landing near City Center on Sept. 16 in response to a report that a child was drowning. 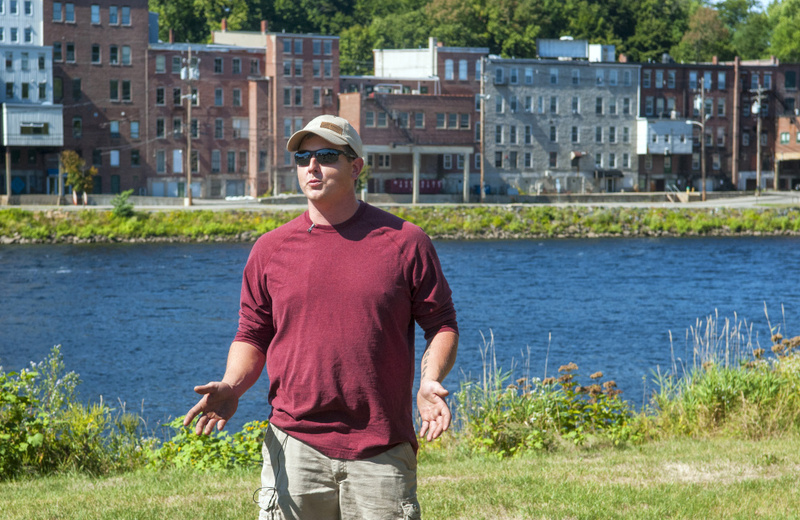 Sean Scanlon of Dresden, who was at a riverfront park with his 4-year-old son, heard people on the west side of the river screaming about a child in the water. He saw the child, so he jumped into the water, pulled the child out and began resuscitation efforts. The boy was wearing a hoodie and a diaper, and some witnesses told police that he had been playing and swimming along the east bank of the river. The boy was taken to MaineGeneral Medical Center for treatment. Scanlon said nobody was in the park at the time except him and his son. He said he was told that police officers went door-to-door in the area and found the boy’s father asleep on the couch in a nearby home. Augusta charged Norwood about 10 days later. Norwood pleaded not guilty to the charge in November.